Produced water (PW) from oil and gas extraction processes has been shown to contain elevated concentrations of major ions. The objective of this study was to determine the potential effects of elevated major ions in PW-contaminated surface water on a fish (fathead minnow, Pimephales promelas) and a unionid mussel (fatmucket, Lampsilis siliquoidea) in short-term (7-day) exposures. 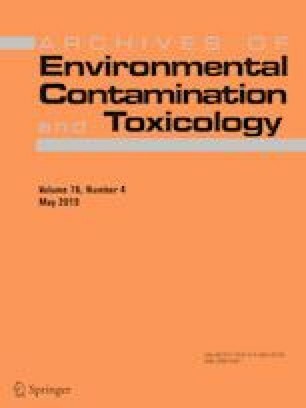 The test organisms were exposed in 3 reconstituted waters formulated with 1, 2, and 4 times the major ions measured at a PW-contaminated stream site 1 month after a PW spill from an oil production wastewater pipeline in the Williston Basin, North Dakota. A reconstituted water mimicking the ionic composition of an upstream site from the spill was used as a reference water. Significant reductions in survival and growth of the fish were observed in the 4× treatment compared with the reference. The mussels were more sensitive than the fish, with significant reductions in survival in the 2× and 4× treatments, and significant reductions in length in the 1× and 2× treatments. Overall, these results indicate that elevated concentrations of major ions in PW-contaminated surface waters could adversely affect the fish and mussels tested and potentially other aquatic organisms. Disclaimer: Any use of trade, firm, or product names is for descriptive purposes only and does not imply endorsement by the United States Government. The online version of this article ( https://doi.org/10.1007/s00244-019-00610-3) contains supplementary material, which is available to authorized users. This research was supported by the United States Geological Survey (USGS) Ecosystems Mission Area, the Contaminant Biology Program of the USGS Environmental Health Mission Area (EHMA), and the Toxic Substances Hydrology Program of the EHMA. We thank the staff in the Toxicology and Environmental Chemistry Branches of the CERC for technical assistance, and M.C. Barnhart of Missouri State University, Springfield, MO for providing juvenile mussels for testing.